Humanities students at The Sixth Form College, Solihull enjoyed a host of ancient artefacts last week thanks to a visit to the British Museum. 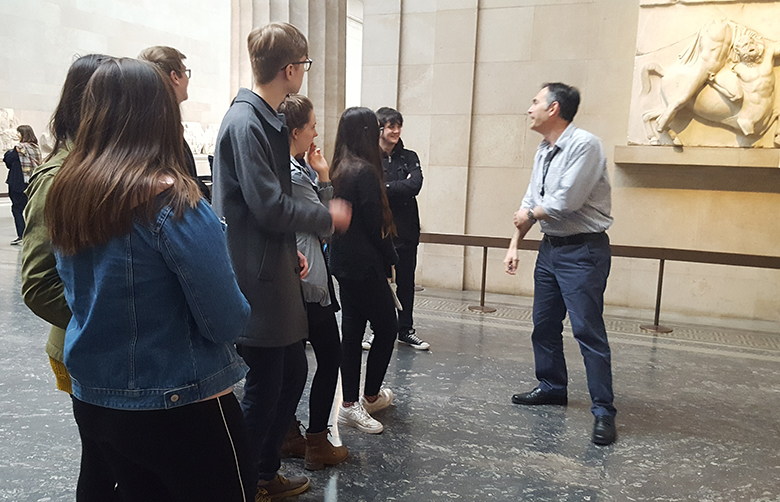 A level Ancient History and Classical Civilisation students visited the British Museum in London to study the wonderful marble sculptures from the Parthenon and the Greek, Roman & Celtic life rooms. A level Ancient History is an opportunity to study the Romans and the Greeks through their philosophy, democracy and the arts, while A level Classical Civilisation examines both Greek and Roman cultures through their mythology, literature, drama, and art, as well as a little history and archaeology. Further information about these courses.